Mom will do the happy dance when this delightful bouquet arrives on Mother's Day! 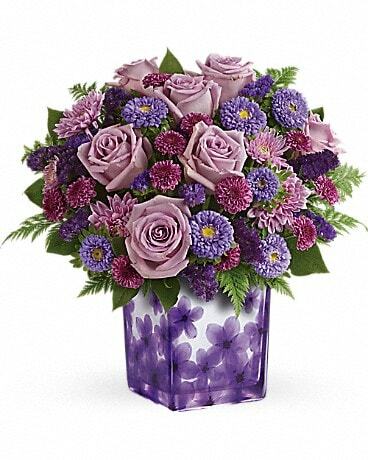 The perfect pick for any purple-lover, this modern, monochromatic mix of roses and mums is artistically arranged in a glass cube. 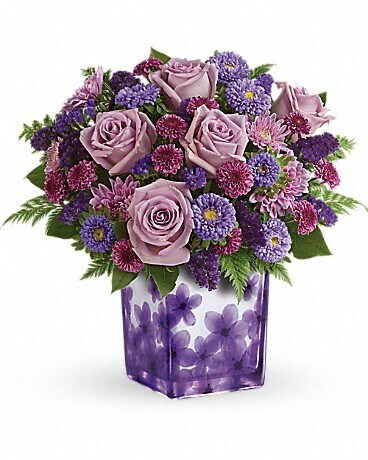 Its stylish photographic motif of African violets positively pops beneath this gorgeous bouquet. 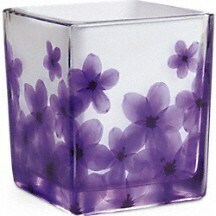 Adorned with a vivid pressed violet motif, this glass cube is part of Teleflora's exclusive Flowers-in-a-Gift collection. A gift this beautiful is perfect for Mother's Day and will be cherished for years to come!